Adobe Books is pleased to present an exhibition to accompany the release of the latest publication from Berkeley-based Allone Co. Editions. 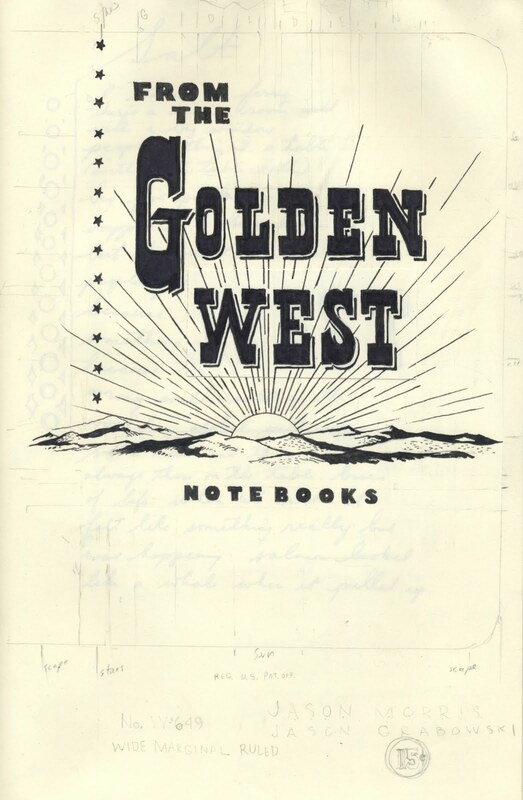 Inspired by the ACE Double books of the fifties, in which genre novels (especially Westerns and Science Fiction) were paired, From the Golden West Notebook brings together Jason Morris’ poetry and the first section of Thoreau's Walden, the chapter on “Economy.” Jason Morris’ serial poem (also called “From the Golden West Notebook”) follows a character named “I” through a hallucinogenic western landscape populated by the ghosts of Melville, Spicer, Thoreau, and the distressed magnetic reels of Bob Dylan’s Basement Tapes. Thoreau’s account begins on July 4th, 1845, when he moved into the cabin he built. In the “Economy” section, he details the building of the cabin and lists his costs. 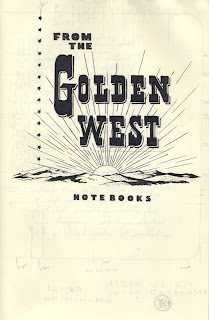 From the Golden West Notebook is bound so the two writings mirror one another, tête-bêche (head to toe), and features the artwork of Jason Grabowski and Jesse Schlessinger. The exhibition will feature artworks related to the publication as well as a small reading room with relevant texts chosen by the artists and writers and friends of the gallery. Allone Co. Editions is Colter Jacobsen's Publication Studio Berkeley imprint. Publication Studio is an online, print-on-desire publishing outfit that was started in Portland, Oregon, and has spread north to Vancouver and south to Los Angeles, and elsewhere. More info: www.publicationstudio.biz. Also, don't miss the final evening in our performance series, The George Spelvin Show, organized by Rod Roland and David Kasprzak. Part II will take place Saturday, April 30th, at 7pm. George Spelvin is the traditional pseudonym used in programs in American theatre. The reasons for the use of an alternate name vary. Actors who do not want to be credited, or whose names would otherwise appear twice because they are playing more than one role in a production, may adopt a pseudonym. The George Spelvin Show gives artists the space to create a dual role, act outside of traditional mediums, and experiment with a new name. Support for these projects is generously provided by Southern Exposure's Alternative Grant Program.